Westin Lake Las Vegas Resort main ballroom is set up for award reception. 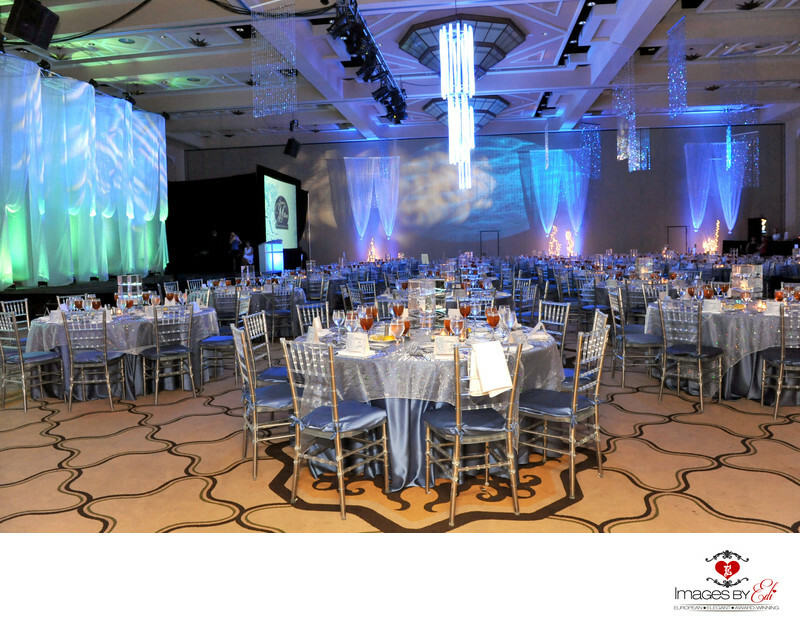 Tables decorated with blue and grey colors with chivalry chairs. Location: 101 Montelago Blvd, Henderson, NV 89011.